As the shops fill up with tweed and wool, the nights draw in a little earlier and the flowers and leaves begin to turn, it's time to say farewell to the summer that never really started. 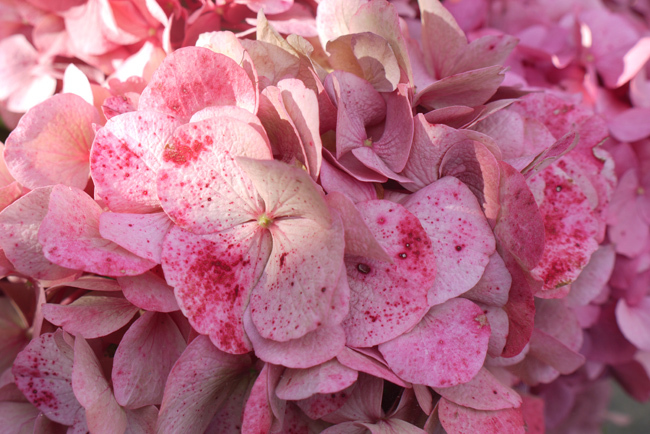 I took these photos of the hydrangea in our garden because I loved the splatter/stain marks and textures on the petals of the flowers as they slowly lose their colour. 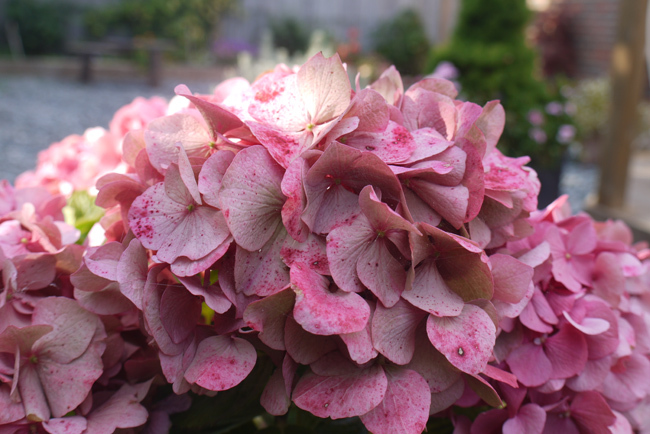 They almost look as if someone has flicked water colour paint over the petals. How was your summer? Are you sad to see it go?